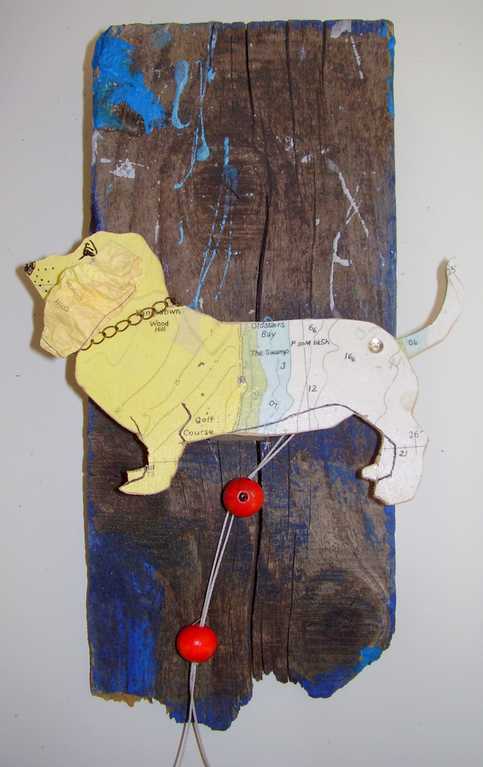 Original dog automata. MDF, seachart and old wood. Wag his tail!